This emotional, hilarious, devastating, and ultimately triumphant YA debut, based on actual events, recounts one girl’s rejection of her high school’s hierarchy—and her discovery of her true self in the face of tragedy. Fall’s buzzed-about, in-house favorite. Outside, Anika Dragomir is all lip gloss and blond hair—the third most popular girl in school. Inside, she’s a freak: a mix of dark thoughts, diabolical plots, and, if local chatter is to be believed, vampire DNA (after all, her father is Romanian). But she keeps it under wraps to maintain her social position. One step out of line and Becky Vilhauer, first most popular girl in school, will make her life hell. So when former loner Logan McDonough shows up one September hotter, smarter, and more mysterious than ever, Anika knows she can’t get involved. It would be insane to throw away her social safety for a nerd. So what if that nerd is now a black-leather-jacket-wearing dreamboat, and his loner status is clearly the result of his troubled home life? Who cares if the right girl could help him with all that, maybe even save him from it? Who needs him when Jared Kline, the bad boy every girl dreams of, is asking her on dates? Who? 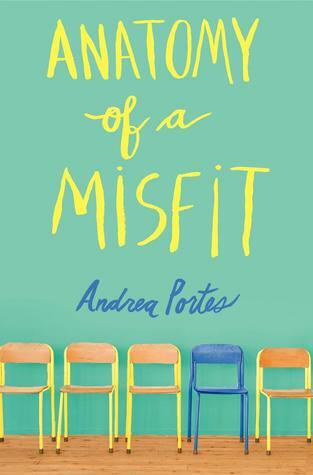 Anatomy of a Misfit is Mean Girls meets The Perks of Being a Wallflower, and Anika’s hilariously deadpan delivery will appeal to readers for its honesty and depth. The so-sad-it’s-funny high school setting will pull readers in, but when the story’s dark foreboding gradually takes over, the devastating penultimate tragedy hits like a punch to the gut. Readers will ride the highs and lows alongside funny, flawed Anika—from laughter to tears, and everything in between. For additions or corrections to the calendar, please contact one of our bloggers or leave a comment on the latest post!